Dumped by U.K. voters five days ago, the European Union has set out how it intends to approach the divorce talks. Britain won't have a plan for exiting the EU before September, when a new prime minister takes office. But leaders of the other 27 EU states meeting in Brussels have agreed to the outline of their negotiating strategy for Brexit. Last Thursday's referendum prompted Prime Minister David Cameron to resign. The main opposition party is also in turmoil. Apart from wanting to leave, the kind of relationship the U.K. wants with the EU in future is far from clear. It's up to Britain to choose when to trigger formal exit talks. The EU is prepared to wait a while for the U.K. to get its act together. But it's worried about the impact prolonged political and economic uncertainty could have on the rest of Europe, and wants negotiations to start soon. Related: EU leaders meet without U.K.
"This should be done as quickly as possible. There can be no negotiations of any kind before this notification has taken place," the 27 EU leaders said after meeting in Brussels Wednesday. Luxembourg's prime minister, Xavier Bettel, put it more colorfully. "The EU is not Facebook," he told reporters. "You're either married or divorced, not 'it's complicated.'" The EU is the U.K.'s biggest trade partner. How easily companies and banks based in Britain can sell goods and services to the 440 million people across the EU is vital for the future of the U.K. economy. But here's the problem. Full access to the biggest single market in the world comes at a price. Members have to pay into the EU budget, and give EU citizens the right to enter their countries to live and work. The Brexit campaign promised voters it would scrap both. Balancing the desire to curb immigration while retaining access to Europe's markets is "frankly the biggest and most difficult issue to deal with," Cameron said Wednesday. EU leaders are unwilling to compromise on this point. The freedom of movement for workers, capital, goods and services must stand. "Access to the single market requires acceptance of all four freedoms," they said. 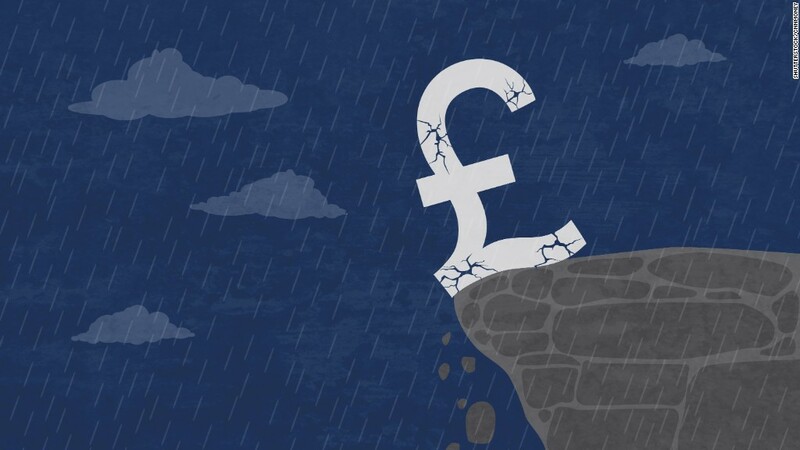 The Brexit vote stunned financial markets, sending the pound crashing to its lowest level since 1985 and wiping $3 trillion off global stocks held by pension funds and other investors. Markets have recovered some poise in the last two days, but the risk of damage to the U.K. economy hasn't gone away. Telecoms giant Vodafone (VOD) says it may have to move its global headquarters out of the U.K. Fear is running particularly high among people who work in banking, insurance and related professional services. London is a global financial center but banks have already warned they may have to move operations to rival cities such as Frankfurt or Dublin. And some types of trading may disappear altogether. Britain has fought hard to be allowed to clear stocks and derivatives trades in euros, despite sitting outside the eurozone. That's a huge volume business, and Brexit means it will have to move from London, according to French President Francois Hollande. "It can serve as an example for those who seek the end of Europe... It can serve as a lesson," he told reporters.